'Mama Mia' what a 'Super Trouper' Tribute we have in store for you! 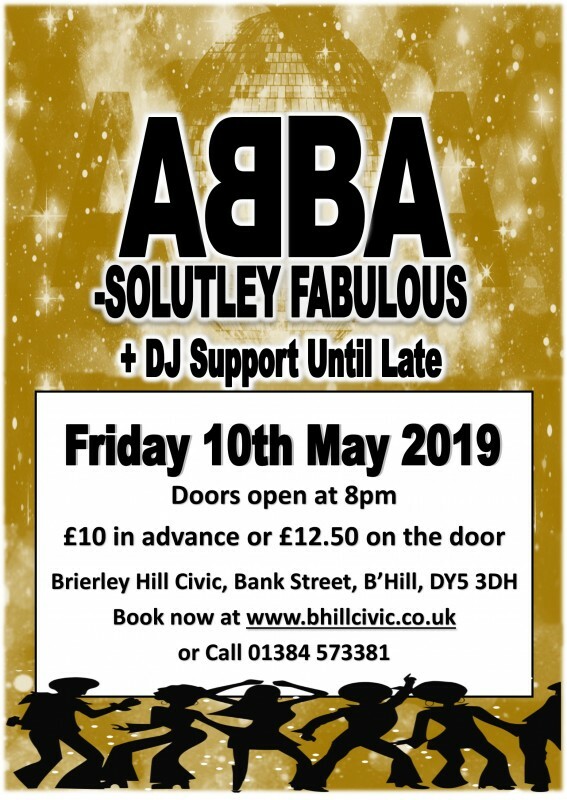 We re calling all you Kings & 'Dancing Queens’ to Brierley Hill Civic as 'We Thank You For The Music' from the greatest male/female Pop group of all time!! Come and 'Take A Chance' on what will be a fantastic night out! 'Gimme Gimme, Gimme' a good reason not to be 'One Of Us' for the night which is supported by a DJ who will keep the party going until 1am. Tickets are £10 in advance or £12.50 on the door. Show us the 'Money, Money, Money' and book now to avoid disappointment!